The first thing to note, there is no I in Ameraucana. If you bought one that had an I in the name, you bought an Easter Egger. 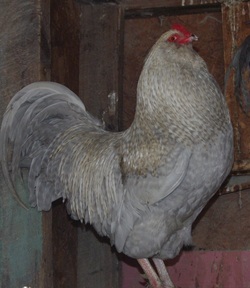 Technically, Lavender Ameraucana could be considered Easter Eggers (EE) too though, so don't feel bad. Why are they EE's? Because only certain colors are accepted as standard, and Lavender is not one of them. I would note though that these breed true and I have been breeding them to meet the standard in all other ways except color. 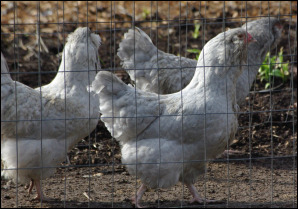 As of right now, I only have a two Lavender hens. I also added two black hens to improve egg color. The rest of the hens are all Lavender Cuckoo Ameraucana. This means that if you buy eggs, you might get lavender cuckoo or black/white cuckoo recessive for lavender. The cuckoo pattern is definitely not a standard color, and probably never will be. The issue is the legs. 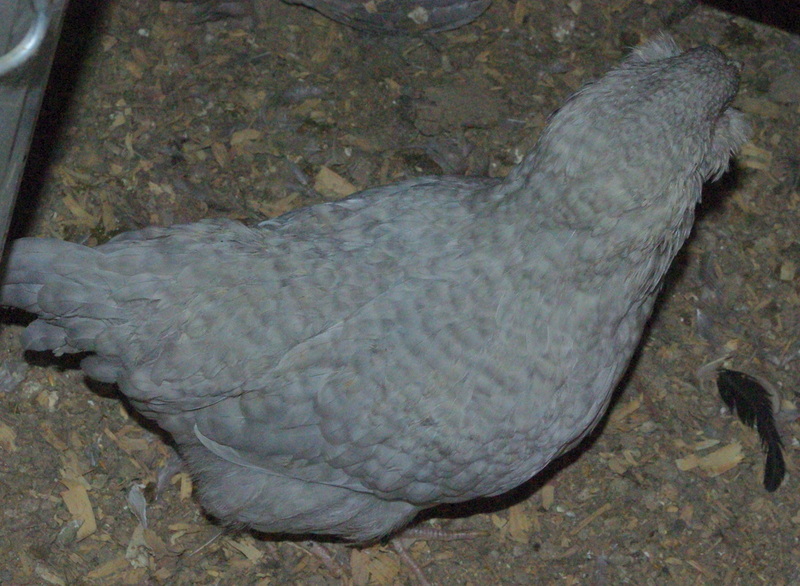 Cuckoo patterned birds won't have the slate colored legs that is needed to be accepted. The pattern actually carries through to the leg color and their legs are striped. So if you want show birds, don't get these! If you want some wonderful eye candy, you must have them! I'm not sure if its a common trait, but my lavenders have been extremely broody. This is great if you want to hatch eggs, not so great if you want to sell them. I think I had at least one hen sitting on the nest for 5 months straight. Thank goodness they seem to take turns at it!